GeekRex | The GeekRex Podcast Episode 141: The 2016 Rexie Awards! The GeekRex Podcast Episode 141: The 2016 Rexie Awards! It's that time again! 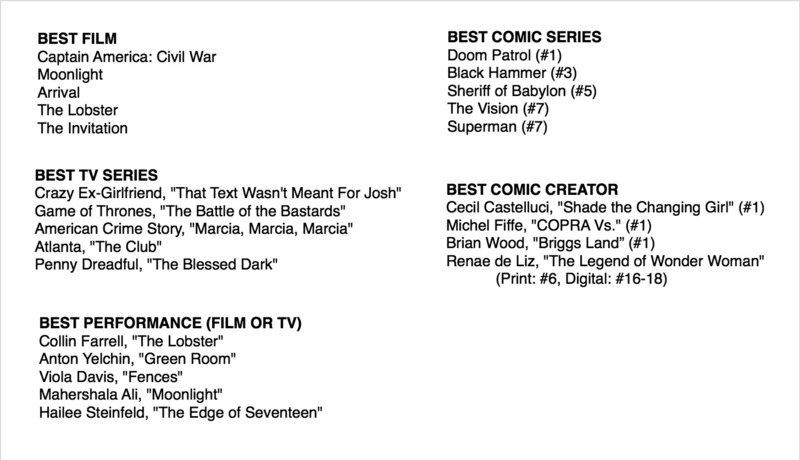 Before we get to our yearly Oscar show, we do a little awarding of our own for our favorite Films, TV Series, and Comics. See our nominations above, along with an example episode or issue that we all watched or read. This is a really fun episode, and you'll have to listen in to hear what won!